No, not a bear – this Teddy is a Peckett 0-4-0ST, one of the smallest conventional standard gauge steam locomotives ever built. He was bought, many years ago, by the late Rev. ER Boston, better known as “Teddy” Boston (who, as a friend of the Rev. W Awdry, appears in the “Thomas the Tank Engine” series as one of the two vicars – the fat one…). The Rev. Teddy died some 30 years ago, but his Peckett (inter alia) lives on. Now residing at Chasewater, Teddy Peckett is clearly in fine fettle – a very fit 75-year-old, celebrating his birthday today in great style. 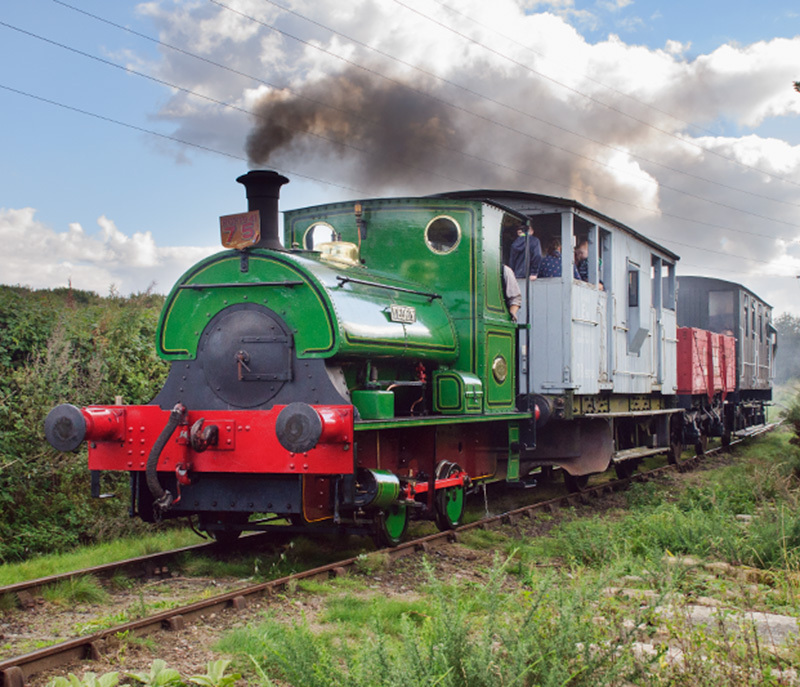 For more on the day’s fun, visit “Teddy’s birthday” on Geoff’s Rail Diaries. DEAR TEDDY—DREAMY STEAMY LITTLE ENGINE!